I love the look of frosted glass containers but wanted to create an easy way to label the contents on my jars and bottles. I tried writing the contents in chalk on my frosted kitchen containers and liked the look a lot. I thought that it would be great for labeling the resealable beverage bottles I’ve collected. 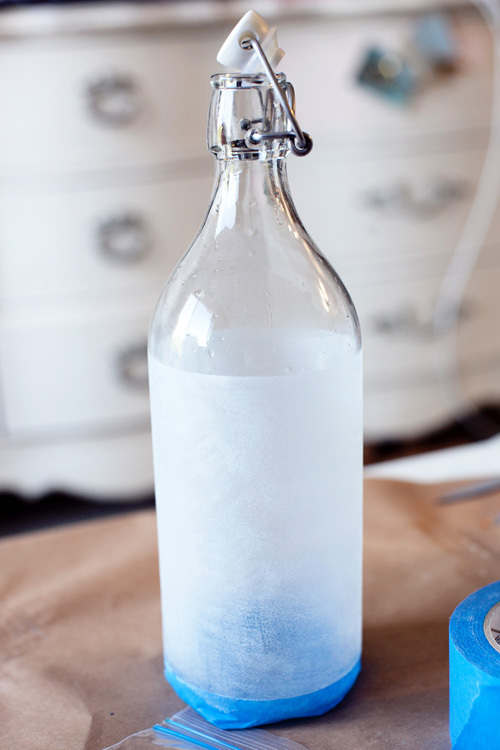 I took a trip to the craft store to see if I could find a way to frost my glass bottles. I found a frost spray paint for $10 and then Queen Martha Stewart’s sponge-on version for $5. I opted for MS’s version. Plus you can tint it! I used a very light blue for a more opaque effect. I taped off the area that I wanted to paint and used a sponge brush to apply. Pounce the brush over the paint to get the rough texture that frosted glass has. Let dry and remove the tape. Let the paint cure for a few days to make sure that it sticks around. It washes fine in mild soap and water. 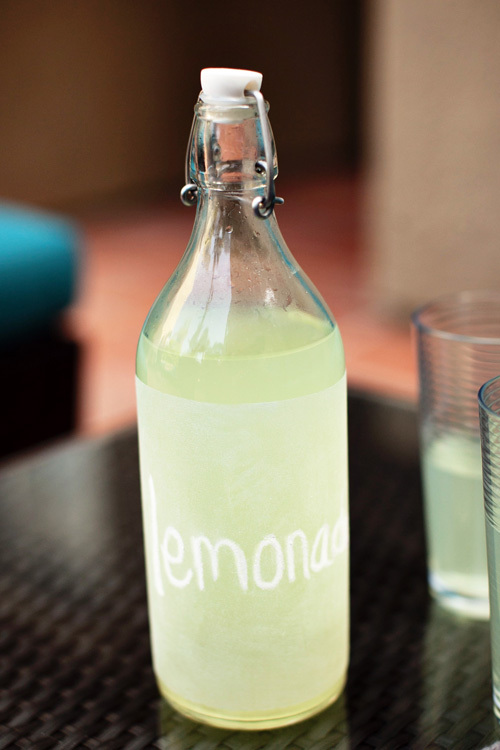 I use chalk to write the contents on the bottle just like I did with my kitchen jars. Fabulous, stylish bottles for your picnics or luncheons. Cuteeeeeeee! 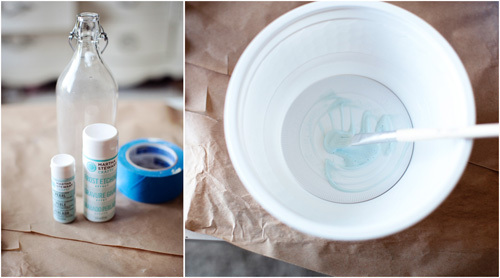 I like your tutorial and I’ve got this linked to my glass bottles post too today, well done!